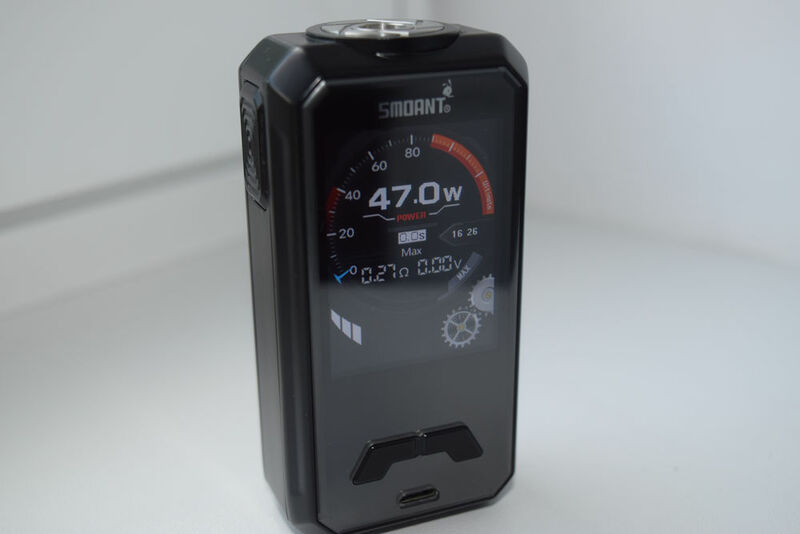 Following the success of the original Charon TC 218 dual-battery mod, Smoant has come out with an even more impressive version of their vaporizer, one that uses a gorgeous and surprisingly responsive touch screen, instead of the classic “+” and “-” buttons. 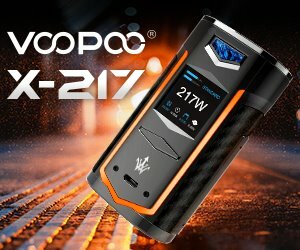 The Smoant Charon TS 218 is the best looking touch-screen mod I’ve ever used, but let’s see if its performance is up to par. 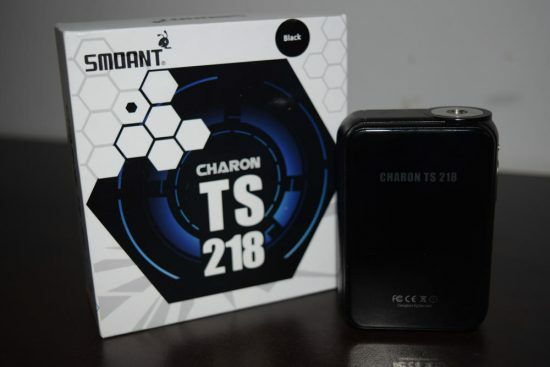 The Smoant Charon TS 218 comes in a large, white cardboard box, featuring a futuristic hexagonal design on the front, and a list of features and an authenticity seal on the back. Inside the box, we have the touch-screen mod, a USB charging cable, a user manual and a battery safety card. Apart from the vaporizer itself, the thing that really stands out is the manual. It’s much bigger than your usual user manual, it’s full color and packed full of helpful pictograms that do a good job of explaining how everything works. 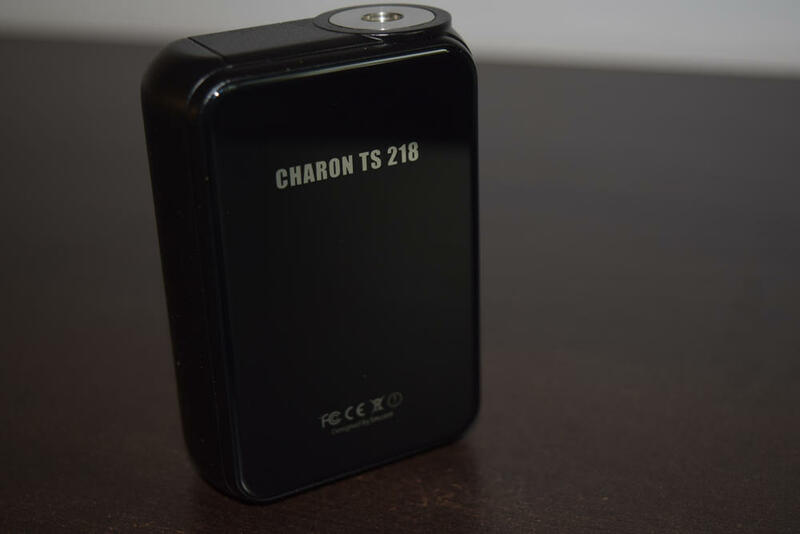 Apart from the name and being a dual battery mod, the new Charon TS 218, doesn’t really share any similarities with the original Smoant Charon, at least in terms of design. The new version looks completely different, and it’s also considerably thicker and heavier than it’s older sibling. The touch screen Charon measures 85 mm tall, 59 mm wide and 29 mm thick, and weighs around 319 grams with two 198650 batteries. It’s not the largest dual-battery mod I’ve ever seen, but it’s considerable girth can make it a bit uncomfortable to hold, especially for people with small hands. Mine are pretty small, and while I wouldn’t go as far as saying that I struggle with it, the Charon TS is definitely not as ergonomic as smaller mods like the SMOK Alien or the Wismec Predator 228. 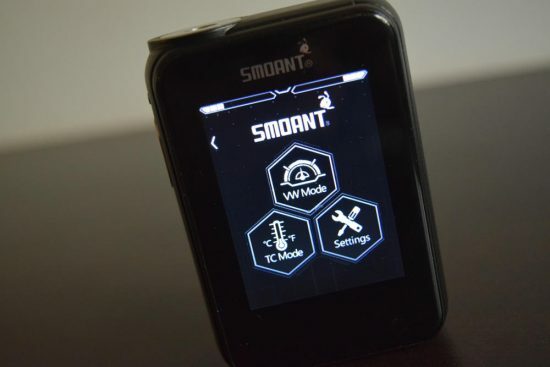 The new Smoant Charon TS 218 features a zinc alloy frame, but the Chinese manufacturer seems to have been inspired by modern touchscreen smartphones, as both sides of the device are actually made of glass. This does give it a fat smartphone look, and while it is visually appealing, it also makes it more vulnerable to abuse, as dropping it on hard surfaces like concrete will most likely crack, if not completely shatter the glass. I doubt that Smoant went for high-quality tempered glass, since that would have bumped up the price, so I definitely suggest treating the Charon with care. That said, I can tell you that I accidentally dropped my sample on hardwood floor from waist high a couple of times, and while the battery door popped off, the mod itself sustained no damage. So it’s not that fragile, but still, glass is glass. While one of the glass sides is obviously the touchscreen, the other is actually the battery door. You wouldn’t know it unless you checked the manual though, and I actually struggled to find where the batteries were supposed to go, because of how well the door is concealed. It was only after reading the instructions that I found the small gap at the bottom of the glass battery door, where your finger nail is supposed to go in order to detach it from the device. The door is held in place by four pairs of strong magnets that do a very good job of keeping it firmly on the mod at all times. 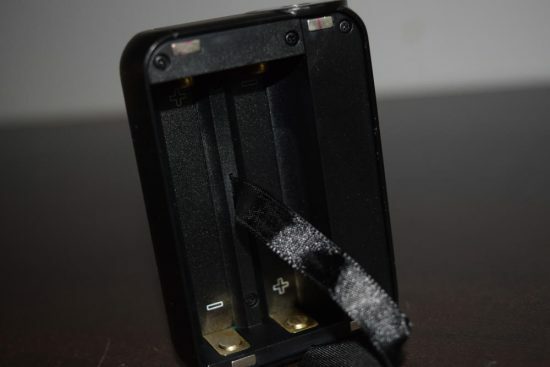 The battery compartment feature clear polarity indicators as well as a ribbon for easily removing the batteries. Since all the settings are accessed and adjusted via the large touchscreen, we no longer have any “+” and “-” buttons on the mod. 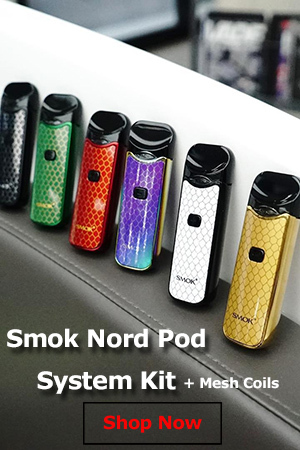 Instead we have a large, oval fire button with a track texture to it that makes finding it with your finger very easy, as well as a small lock button, similar to the one on the SMOK G-Priv, one of the few real competitors of the Charon TS 218 in the still developing touchscreen market. This little button has just two simple but very important functions. A short press will simply turn on the touchscreen so you can vape without accidentally messing up your settings, while a long press will just lock the touchscreen, allowing you to vape with it turned on, so you can show off your cool rig. Located under the buttons is a micro-USB port for on-board battery charging and… Nop, no firmware upgrading, I’m afraid. This is probably the weirdest thing about the Smoant Charon TS 218, it just doesn’t seem to support firmware upgrades. There’s no mention of this feature either in the menu, in the user manual or on the Smoant website, so I can only assume that it doesn’t exist. While I’m not the kind of guy who upgrades his devices whenever a new firmware comes out, I do take comfort in the fact that any software issue can be fixed this way. Unfortunately, that’s not the case with this device. The stainless steel 510 connection features a gold-plated, spring-loaded pin and is located inside a sort of round platform with a diameter of 25 mm. So as long as you’re using atomizers up to 25 mm in diameter, it’ll look ok, but anything larger than that is going to overhang. 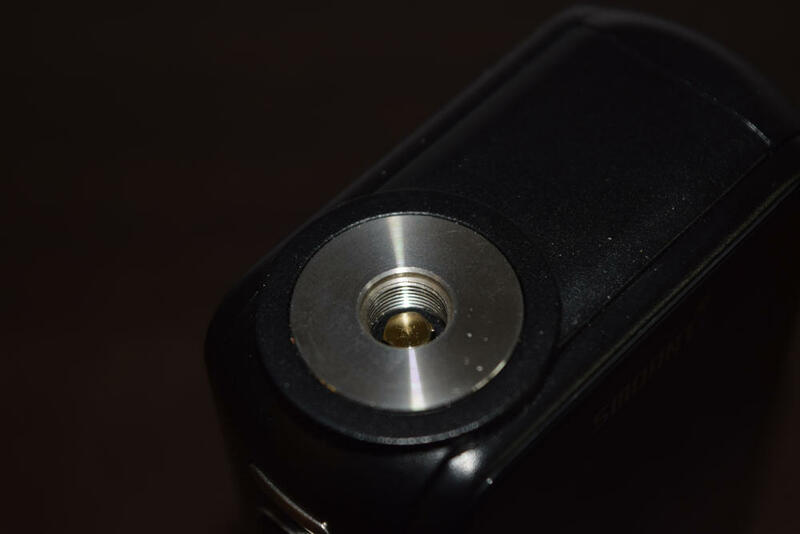 Finally, on the bottom of the mod, we have six large battery venting holes. Overall, the Smoant Charon TS 218 touchscreen mod looks and feels like a high quality device. Yes, the glass surfaces are fingerprint magnets, but they also look cool, so it’s a worthy compromise. Although I haven’t yet touched on the touchscreen, I can tell you that it is a step above that of the SMOK G-Priv, both in terms of responsiveness and brightness. Except for the considerable girth of this mod, which some people may actually appreciate, I really can’t come up with any notable cons about the design of the Charon TS. 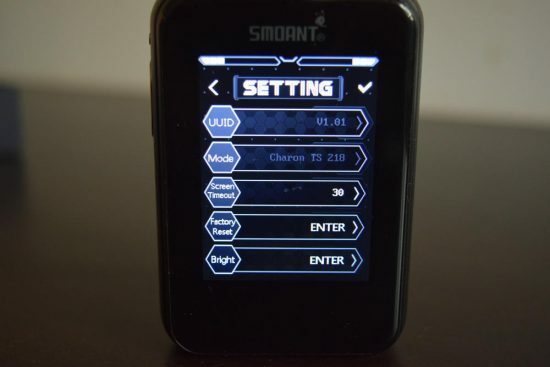 The touchscreen is by far the main draw of the Smoant Charon TS 218, and for good reason. At 2.4-inches, it’s large as far as mod displays go, extremely bright, and, most importantly, surprisingly accurate. No more having to press down hard on a certain point on the screen for your command to register. This capacitive display picks up even the slightest touch of your finger and responds virtually instantly. I’ve been playing with it for over two weeks now, and I still can’t get over how well it works. Don’t get me wrong, I still love my SMOK G-Priv, but there’s no question that at least as far as the touchscreen is concerned, the Smoant Charon TS 218 is clearly the superior device. 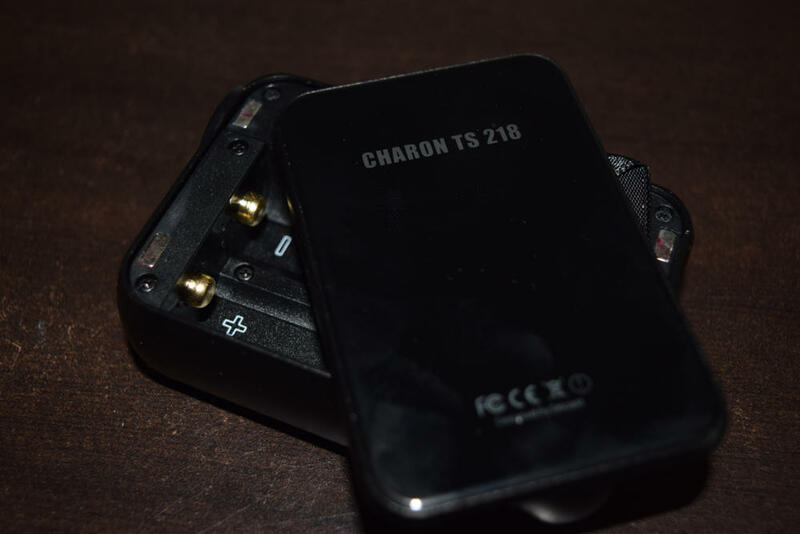 The menu system and user interface of the Charon TS are both very well thought out, making it easy for even complete beginners to find and tweak the settings. To turn the mod on or off, all you have to do is press the fire button five times. 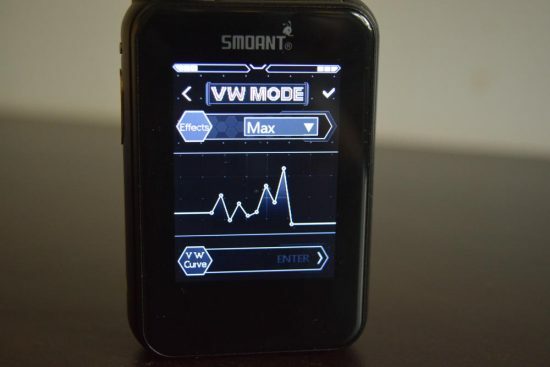 After the Smoant logo, the touchscreen jumps to the main menu, where you can choose from VW mode, TC Mode and General Setings. If you don’t need to tweak the settings just press the fire button again, or the small “back” arrow in the top left corner of the screen, and you’ll go to the main screen. The layout of the main screen features a large wattage/temp gauge in the center of the display, two separate battery life bars at the top, and at the bottom there are indicators for amperage, voltage and atomizer resistance. Also, on both sides of the central gauge, are two arrows that allow users to adjust the wattage/temperature without going into the menu, just like they would with “+” and “-” buttons. To access the menu from the main screen, just press the “back” arrow in the upper right side of the display. In VW Mode, you can choose from six different preheat modes, from Min. to Max. and also VW Curve. If you select the latter, the “VW Enter” option on the bottom of the display becomes available, allowing you to go into the curve adjustment interface. Playing with the curves on the touchscreen display is probably the most fun you can have in the Charon TS 218 menu. The whole display becomes a huge graph, allowing you to grab every one of the 10 available points – the equivalent of 10 seconds – and drag it up and down as you please. No matter where you place your finger on the display, you will only be able to move a single point, as scrolling through points is done by pressing the arrows next to the “Control” text, at the top of the graph. This makes creating an accurate curve easy and hassle free, even for people with large fingers. 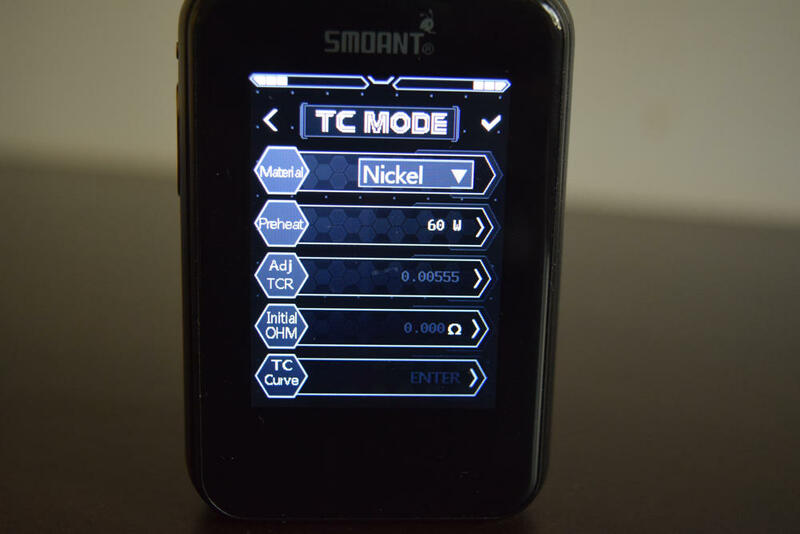 In Temp Mode, you can choose from the three supported materials (nickel, titanium and stainless steel), as well as TCR and TCR Curve. 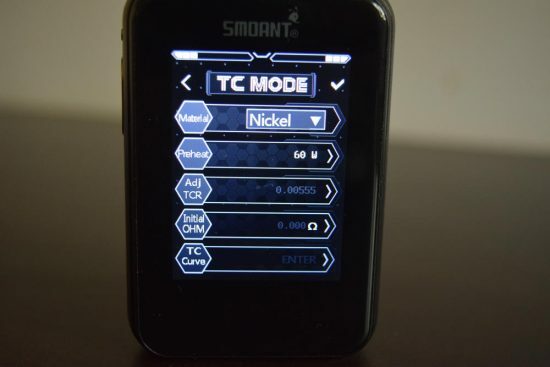 In order to access TCR Curves you have to first select TCR mode, otherwise the option will remain unavailable. 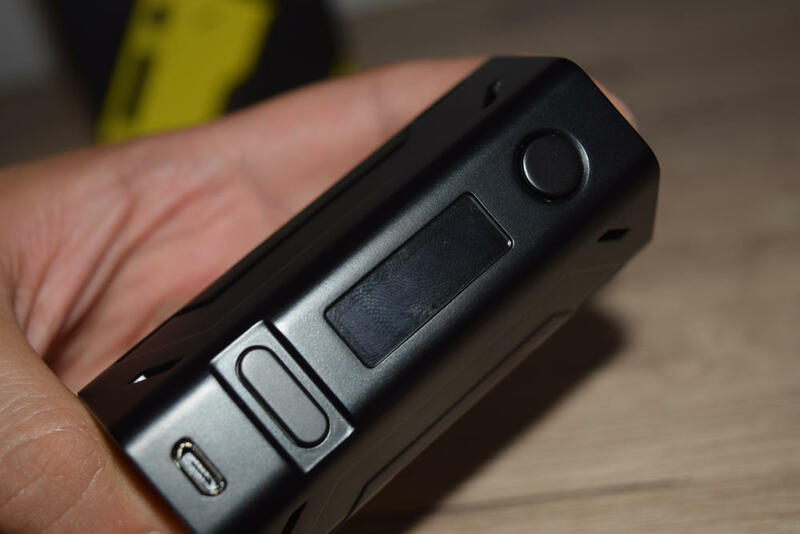 There is also a preheat function, where you can adjust the wattage, as well as an option to adjust the TCR and the resistance of the atomizer, which I don’t recommend you do. Finally, in the Settings menu, you can check the Firmware version, as well the mod’s model number, adjust screen brightness and screen timeout, and restore the device to factory settings, in case you screw something up and don’t know how to fix it. As I mentioned, there is no option for firmware updates. Smoant really deserves props for both the high-quality capacitive display and the design of the user interface and menu system. They are all very well done and make handling the device a joy. 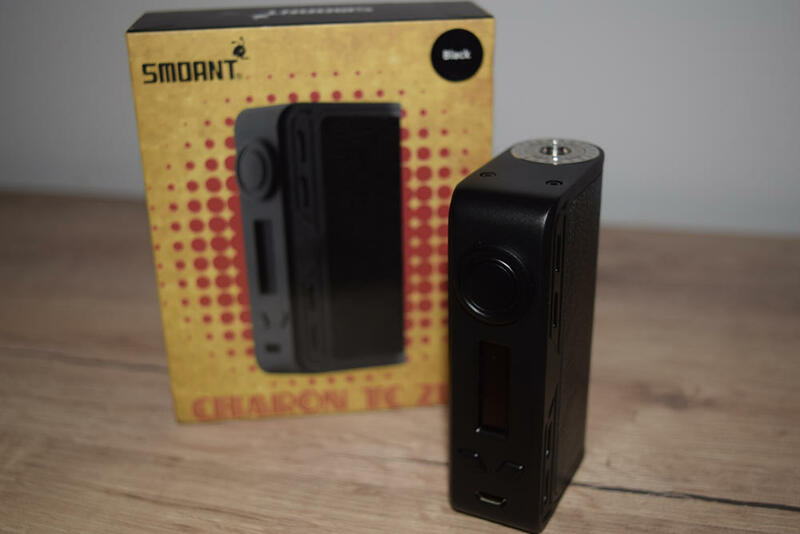 Having been slightly disappointed by the performance of the original Smoant Charon TC 218, more specifically its tendency to output considerably way more power than what was shown on screen, I really didn’t know what to expect from the touchscreen version. Luckily, the Chinese manufacturer seems to have learned for its mistakes, and the new version of the Charon feels very accurate this time around. However, I did notice something peculiar. The ramp up in power feels suspiciously weak, in all but the “Hard” and “Max” preheat modes. The mod does reach the set power output, it just takes a longer time to do so. I don’t know if that’s how Smoant intended it to work, but if you’re looking to heat up your coils faster, I recommend using the device on Hard and Max in wattage mode. This is one of those issues that could have easily been resolved with a firmware upgrade, only that feature is apparently not available. Other than the issue mentioned above, I have encountered no problems during the two weeks I spent testing the touchscreen Charon. The fire button is very responsive, activating the battery almost instantly, power output feels very accurate, and I’ve had no misfires or weird errors show up on screen. As always, I didn’t spend much time testing the temperature control mode, simply because I prefer raw power. But I did throw a dual stainless coil atty on there and it passed the dry cotton test with flying colors. The board does a great job of detecting dry wick and simply cuts power to prevent burning the cotton. So if you’re worried about dry hits, you might want to use the Charon TS in temp. control. Battery life will vary on a number of factors, like the capacity of your 18650 batteries, the power output, your personal style of vaping, and how often you use the device. However, I can tell you that vaping at around 80W, with two LG HG2 3,000 mAh batteries, I got about a whole day’s worth of vaping out of the Smoant Charon TS 218, which is on par with most other dual-battery devices I’ve tested lately. You’ll be happy to know that the new touchscreen Charon features both fast battery charging and balanced charging. It also benefits from vape-while-charging technology, so you can also use it as a passthrough. The new Smoant Charon TS 218 is probably the best touchscreen vape mod money can buy right now. The display is a both gorgeous and a pleasure to use, the menu and navigation system are very user-friendly, and the build quality of the device is beyond reproach. That said, the Charon TS is not without its faults. First and foremost, the lack of firmware upgradability is mind-boggling, at least for me, the considerable girth may also be an issue for some vapers, and the weak ramp up even in Normal pre-heat can also be considered a con. 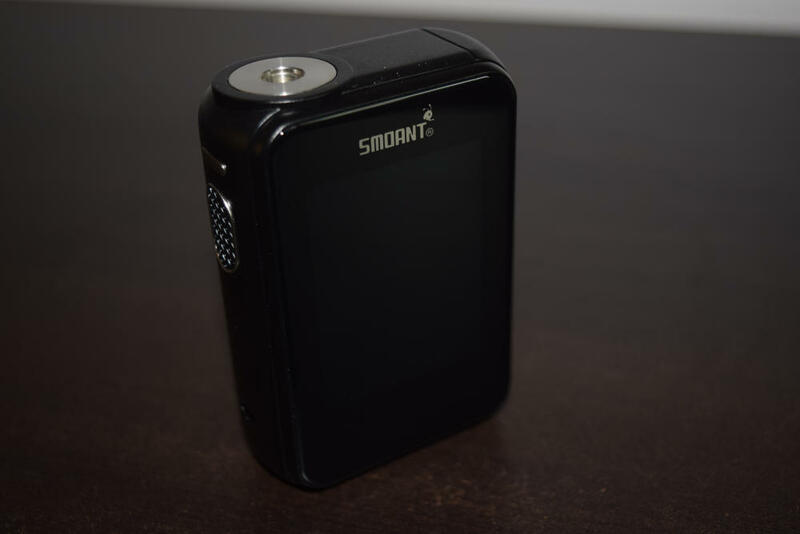 Looking for a great price on the Smoant Charon TS 218 touchscreen mod? Check out this great offer.